Tagline: One Vicious Hitman. One Fierce Cop. Ten Thousand Bullets. 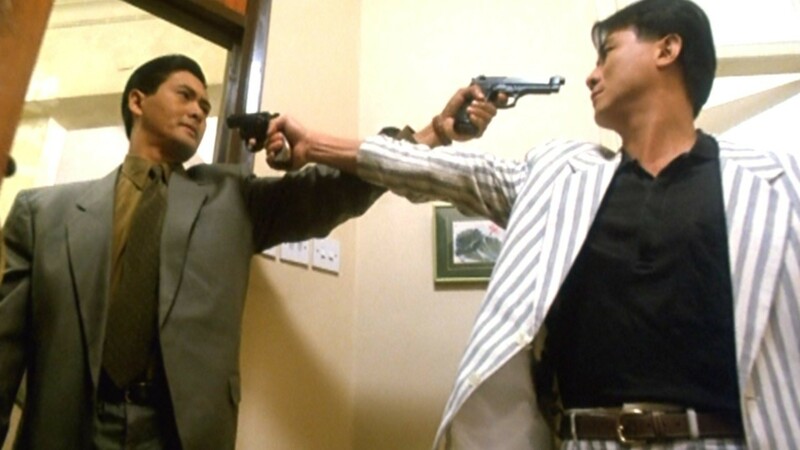 The Killer (喋血双雄, Diéxuè shuāngxióng) is a 1989 Hong Kong action film written and directed by John Woo, and starring Chow Yun-fat, Danny Lee and Sally Yeh. 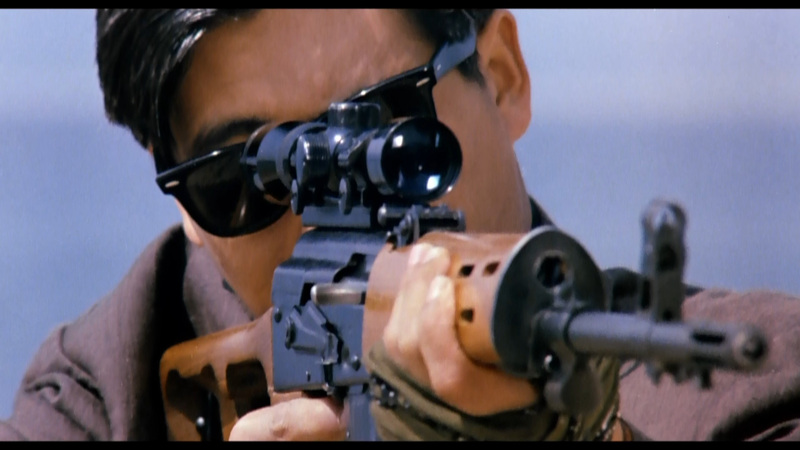 Chow plays the assassin Ah Jong, who accidentally damages the eyes of the singer Jennie (Sally Yeh) during a shootout. He later discovers that if Jennie does not have an expensive operation she will go blind. To get the money for Jennie, Ah Jong decides to perform one last hit. 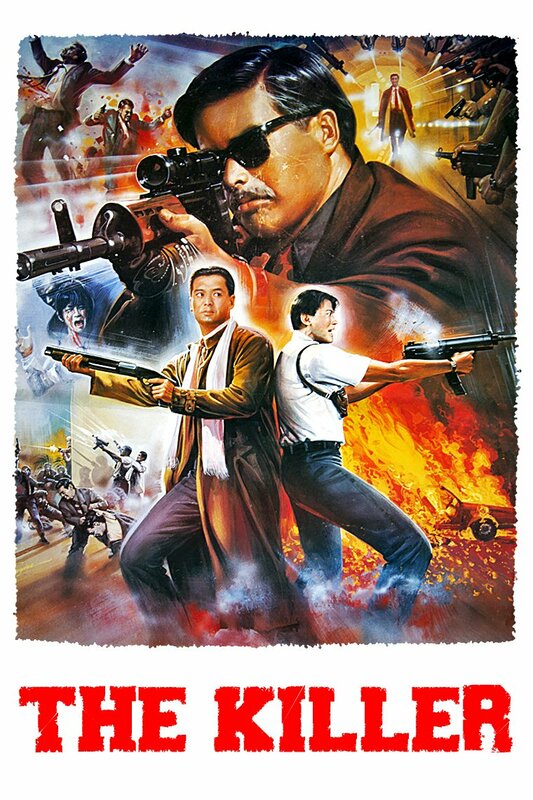 After the financial backing from Tsui Hark became problematic following the release of Woo’s film A Better Tomorrow 2, Woo had to find backing through Chow Yun Fat and Danny Lee’s financing companies. Woo went into filming The Killer with a rough draft whose plot was influenced by the films Le Samouraï, Mean Streets, and Narazumono. Woo desired to make a film about honour, friendship and the relationship of two seemingly opposite people. After finishing filming, Woo referred to The Killer as a tribute to directors Jean-Pierre Melville and Martin Scorsese. The Killer was not an immediate success in Hong Kong, but received critical acclaim in the Western world with reviewers praising the action scenes and its over-the-top style. The film became Woo’s stepping stone to make Hollywood films and has been a strong influence on many directors, including Quentin Tarantino, Robert Rodriguez and Johnnie To. 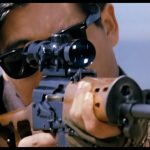 Hitman Ah Jong (Chow Yun-fat), is on his last job for the Hong Kong Triad, but accidentally damages the eyes of a young nightclub singer named Jennie (Sally Yeh) with a muzzle flash in a shootout. After the attack, Ah Jong begins to watch Jennie perform at the nightclub and escorts her home when she is attacked by thugs. Jennie and Ah Jong begin to fall in love during his frequent visits at her apartment. Driven to help her secure the money for a sight-saving corneal transplant, he accepts one final hit. A police detective, Li Ying (Danny Lee), spots Ah Jong completing the job but the assassin escapes. 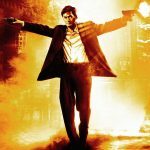 Triad boss Hay Wong Hoi (Shing Fui-On) double crosses Ah Jong, and instead of paying him, sends a group of hitmen to kill him. During Ah Jong’s escape from the Triad, a young child is injured by a stray bullet. After dispatching the attackers, Ah Jong rushes the child to the hospital while being followed by Li and his partner Sgt. Tsang Yeh (Kenneth Tsang). Once the child regains consciousness at the casualty ward, Ah Jong escapes Li and Tsang. Li becomes obsessed with Ah Jong’s act of good will. He and Tsang find that Ah Jong visits Jennie at her apartment; they plan to arrest him the next time he visits her. Ah Jong visits Jennie and is caught in an ambush from which he manages to escape. Li and Tsang explain to Jennie that Ah Jong was the assassin that blinded her at the nightclub. Ah Jong meets with his Triad manager, Fung Sei (Chu Kong), and demands his payment for the job. Fung Sei brings a suitcase for Ah Jong, who discovers it to be filled with sheets of blank paper before finding himself in the middle of a Triad ambush. He kills all of the hitmen, but leaves Fung Sei alive. The next day, after Fung Sei’s pleas for Wong Hoi fall on deaf ears, Ah Jong does a hit-and-run on Wong Hoi’s car, wounding the Triad leader and killing his driver and bodyguard. Li begins to close in on Ah Jong after Tsang follows Fung Sei; Tsang is killed after revealing the location of his home. Because of their friendship, Fung Sei leaves a large stockpile of weaponry for Ah Jong. The home is another ambush; Li attacks, followed by a group of Triad hitmen. Li gets caught in the middle of the crossfire between Ah Jong and the Triad. Ah Jong and Li flee, and while Ah Jong’s wounds are mended, they find themselves bonding and becoming friends. Ah Jong tells Li that should anything happen to him, Li should have Ah Jong’s eyes donated for Jennie’s surgery or use Ah Jong’s money to fly her overseas to have her surgery performed by more experienced doctors. Li, Ah Jong, and Jennie wait in a church for Fung Sei to return with Ah Jong’s money. Fung Sei arrives with the money, horribly beaten by Wong Hoi’s gangsters who have followed him. He is mortally wounded when the hitmen barge into the church. 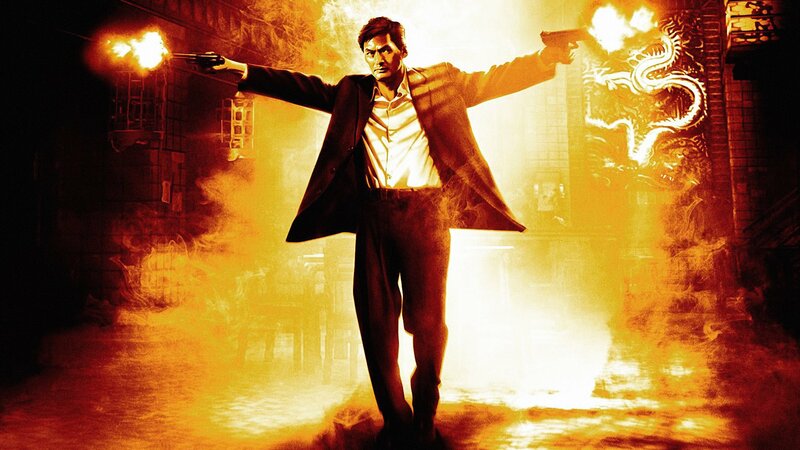 After Ah Jong ends Fung Sei’s misery with mercy killing, he and Li engage in a long and bloody shootout with the Triad all over the church. The battle ends with a Mexican standoff between Ah Jong, Li and Wong Hoi. Ah Jong manages to wound Wong Hoi, but the Triad leader lands two bullets in Ah Jong’s eye sockets before the latter dies of his wounds. When a police squadron arrives in the scene, Wong Hoi begs to be taken into custody. Frustrated by the outcome of the battle, Li fatally shoots Wong Hoi and mourns Ah Jong just as the police surround him.